Legal services in cybersecurity, cybercrime prevention, investigations, and more. Bandler Law Firm PLLC was founded by John Bandler to provide legal services and meet the needs of businesses, financial institutions, and individuals. John is experienced in the private sector and from over twenty years of government experience as a prosecutor, police officer, and Army officer. This experience can help corporations and individuals with the many legal issues they face that require expertise in cybersecurity, cybercrime, investigations, technology, anti-money laundering, and more. John possesses a broad background with many unique areas of expertise. 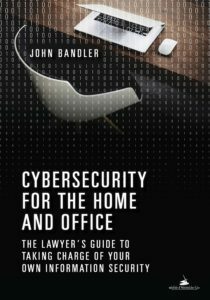 John authored a book on cybersecurity and is a prolific writer. He speaks, teaches, and has provided subject matter expertise on topics including cybersecurity, physical security, cybercrime, virtual currency, anti-money laundering, and law. John has helped individuals, corporations, and financial institutions investigate cybercrime, improve their cybersecurity, and evaluate and improve their cybersecurity and information security programs. In 2002, John was hired by the legendary Robert M. Morgenthau as an Assistant District Attorney at the New York County District Attorney's Office. For thirteen years he investigated and prosecuted a wide variety of cases ranging from global cybercrime and financial crime to violent street crime. Notably, together with a dedicated team, he was responsible for a ground breaking case, People v. Western Express International, Inc. et al. The investigation and prosecution uncovered the global trafficking of stolen hacked data, money laundering of digital currency criminal proceeds, and identity theft, and successfully prosecuted international cybercriminals and U.S. based identity thieves, which culminated in guilty verdicts after a lengthy trial in 2013. In 1994 John graduated from the New York State Police Academy after the grueling six month training. He then served as a State Trooper in the New York State Police for eight years in one of the busiest stations in the state, providing full police services to the local community. While serving as a Trooper, he attended Pace University School of Law, where he graduated in 2002. John graduated Hamilton College in 1992 with a major in Physics and a minor in Computer Science, and earned the Phi Betta Kappa key. John also earned his commission in the U.S. Army through the R.O.T.C. program, and went on to serve in the New York Army National Guard and U.S. Army Reserves, serving in Infantry and Military Intelligence Units. Today's preparation can prevent a problem tomorrow. Today's problems can be investigated and addressed properly.